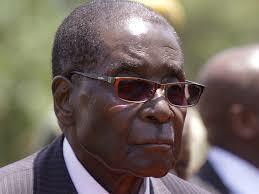 Zimbabwe’s Mugabe flown to Singapore for medical checks – Royal Times of Nigeria. He flew to Singapore late on Monday. The Ministry of Information said he was expected to return home at the weekend, Reuters said. Critics say his infirmities make him unfit to hold office but he continues to exercise tight control over his ZANU-PF party. In February he said the party and Zimbabwe’s people saw no viable alternative candidate to him for next year’s elections.